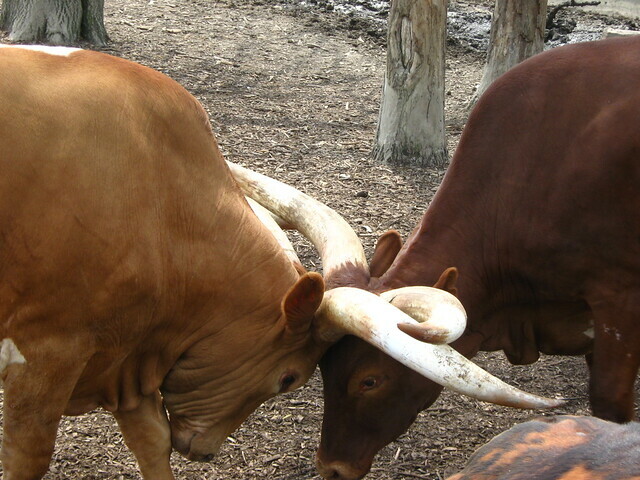 Locking Horns | Flickr - Photo Sharing! Wow -- that's quite a catch! Good picture for the concept. Makes me think locking horns is a pretty futile thing to do. Thanks... it was quite a thing to see. Really gave me a graphic understanding of the commonly used phrase. I'll be it was something to hear, too -- if you were close enough. I would think they'd be pretty loud. I have a video clip of this... amazingly enough, they did not make a lot of noise ... they were too focussed on their personal wrestling match.